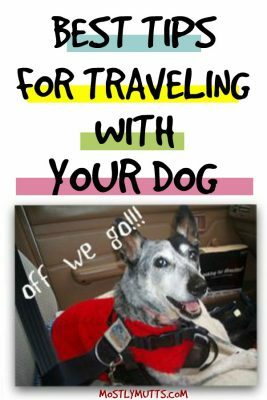 Travel with your dog can be a great experience with some thoughtful pre-planning. Just the mention of the words car, go or bye-bye and many dogs are running to the door and ready to go. Many of us cannot bear to leave our canine family members at home when we vacation. But, while they may be ready to take off at the drop of a bone, we need to take time for a little planning. It can make the difference between a vacation delight and a vacation disaster. Whether you are planning a short get-a-way or a full-fledged vacation, it is important to gather the right equipment and documents to help assure a happy, safe and fun trip when you travel with your dog. This post contains some affiliate links for your convenience (which means if you make a purchase after clicking a link I will earn a small commission but it won’t cost you a penny more) Click here for my full disclosure policy. In addition to the items you will need to gather before you travel with your dog, there is also information you will need. Locate and record phone numbers and locations of Emergency Vet. Clinics along your route and at your destination. Locate dog friendly lodging, dining, attractions, events, parks, campgrounds, beaches, etc. Locate and obtain information on kennels in the area you will be staying in. Even if you don’t plan on kenneling your dog, something may come up that you have to do so. Better to be prepared. Check to see if the area you will be in has any restrictions on your breed. Research your travel destination for possible hazards to your dog that you may not have in your hometown. 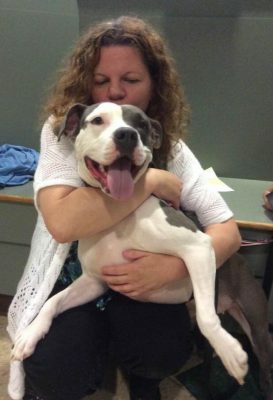 Bring several clear, recent pictures of your dog in case he gets lost and you need to copy and place in places such as veterinarian’s offices and on street posts as well as social media sites. Traveling with your dog can be an enjoyable experience for both you and your dog. Planning and being prepared for the trip will make all the difference between a wonderful, fun-filled trip or a potential nightmare. Traveling with your dog is much like traveling with a toddler; anything can happen. Take the time, gather the proper equipment, records and destination information before taking off to travel with your dog.